This report presents an in-depth review and comparison of auction trends in 2017, based on sales at Christie’s, Sotheby’s and Phillips. 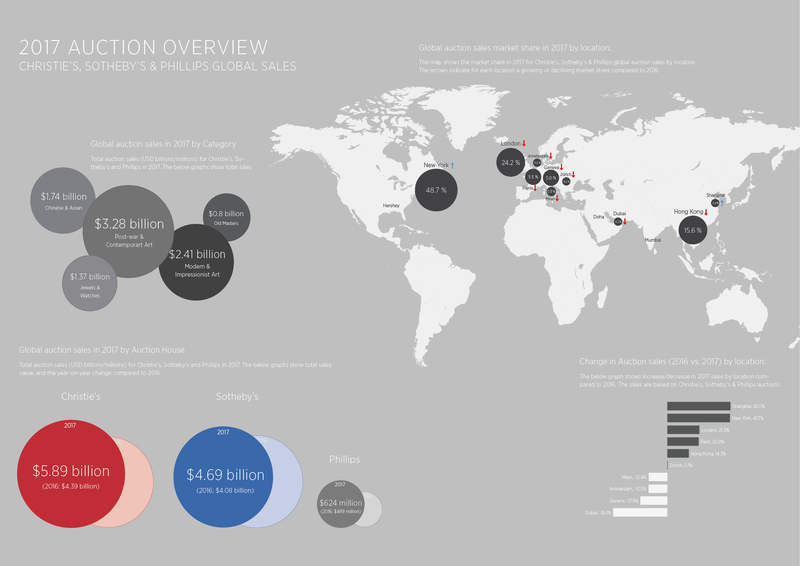 This Annual Auction Review is part of ArtTactic’s RawFacts research reports. 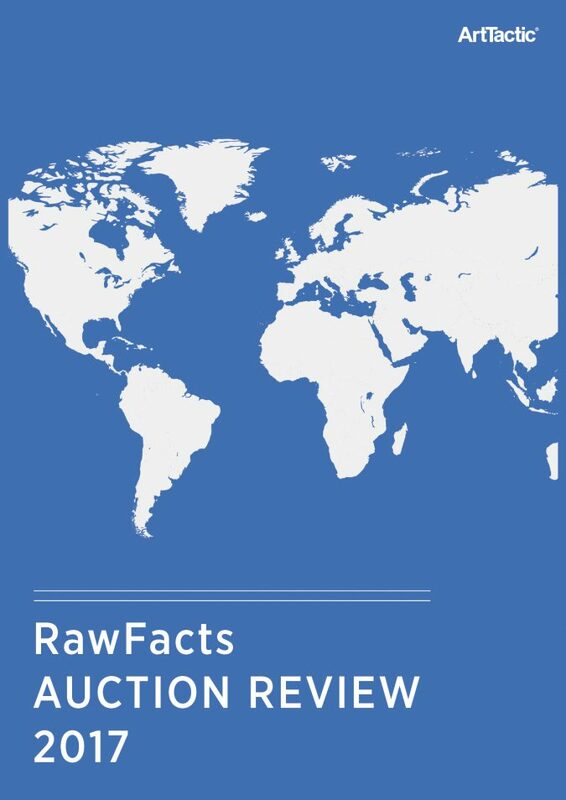 RawFacts auction analysis is published monthly, quarterly and annually in addition to weekly coverage in our newsletter. 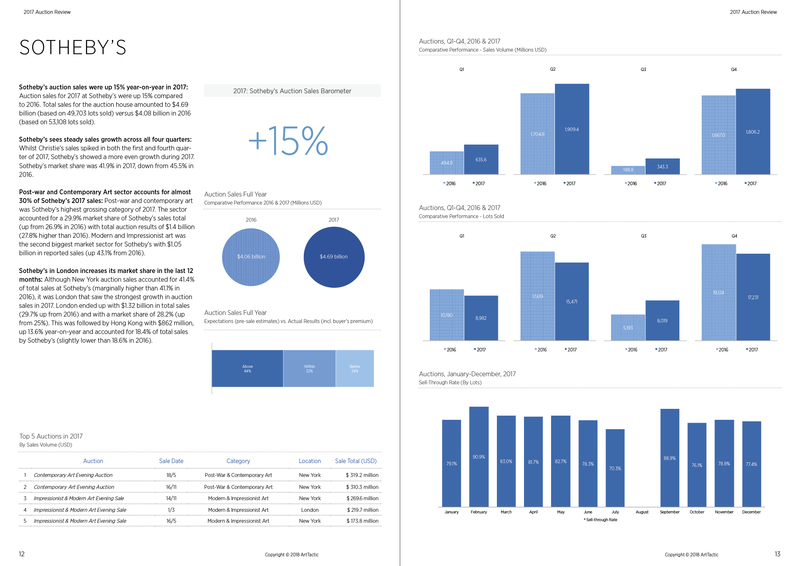 This report is popular among collectors, media, art advisors, auction houses and financial investors, who want to get an overall feel for the changing buying and collecting trends at auction and how the performance of the three main auction houses compare over the course of 2017. Global auction sales from Christie’s, Sotheby’s and Phillips ended up at $11.21 billion in 2017, up 25% from 2016. The Post-War and Contemporary segment was the clear winner in 2017, accounting for 29.3% of the auction total for the year. Impressionist & Modern Art was a clear second with 21.5% market share (up from 16.3% in 2016). One of the fastest growing auction sales categories in 2017 was the Chinese & Asian auctions, which raised $1.74 billion against $1.46 billion in 2016, a 21% increase. 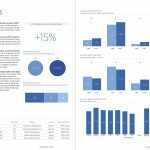 The Chinese and Asian auction category accounted for 15.5% in 2017. Auction House Comparison: Annual, Quarterly and Monthly sales and performance comparison between Sotheby’s, Christie’s and Phillips. 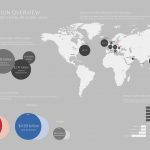 Auction sales trends in 2017: Auction sales trends analysed by location, auction house and all major art market sectors. Auction House Performance: Sell-through rate and auction performance vs. expectations. Top Auctions: Highest global auction results in 2017.